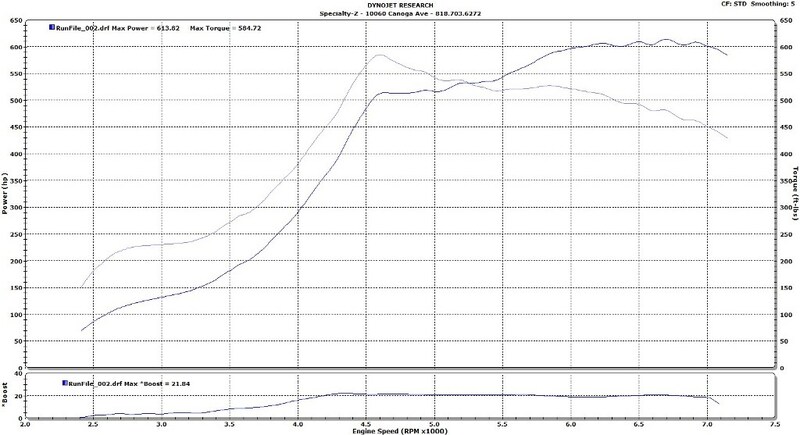 Aaron’s Nismo Z34 has Stillen Gen 3 Intakes, Fast Intentions Long-tube Headers, and Fast Intentions Catback. 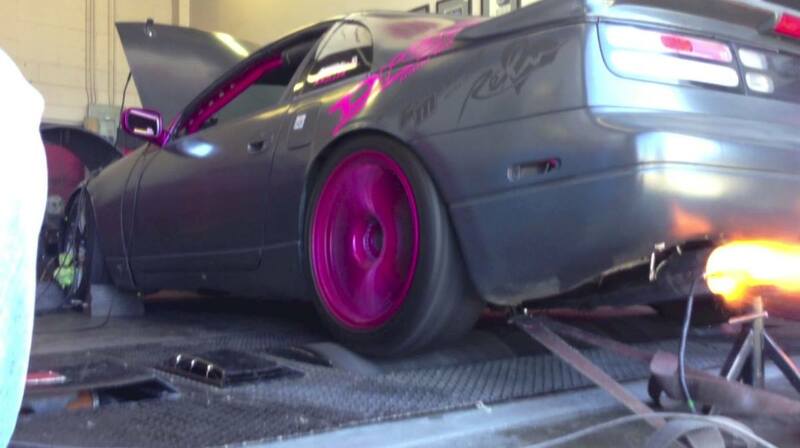 Once all the upgrades were done a tune was in order to maximize the potential of the modifications. 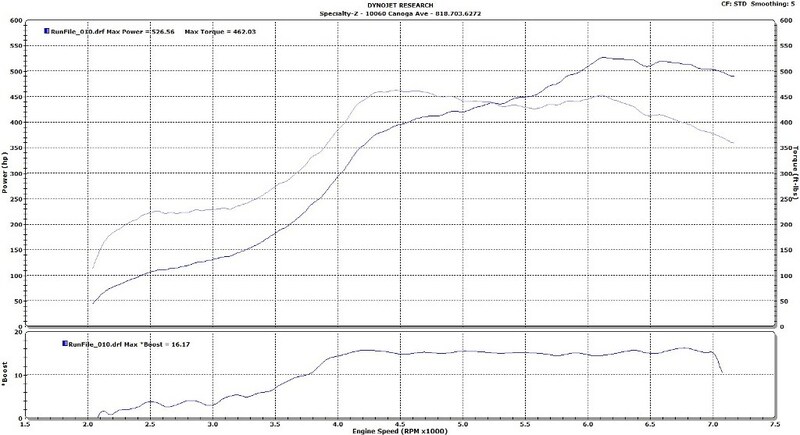 332 whp and 274 torque! Big NA power! 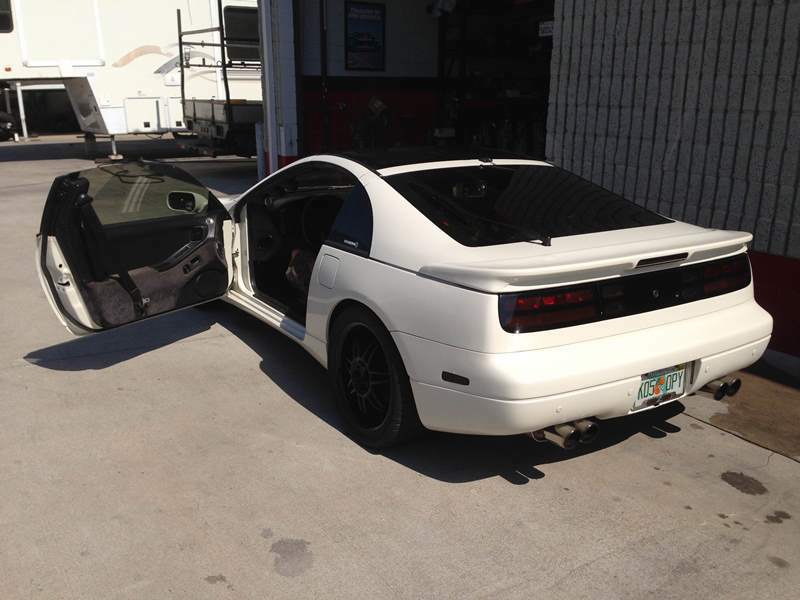 Jesse from Florida sent us his Z32 to straighten out the issues he was having with it. The way it arrived to SZ. Hard to tell by the photo but there was much clutter and lack of detail put into it. 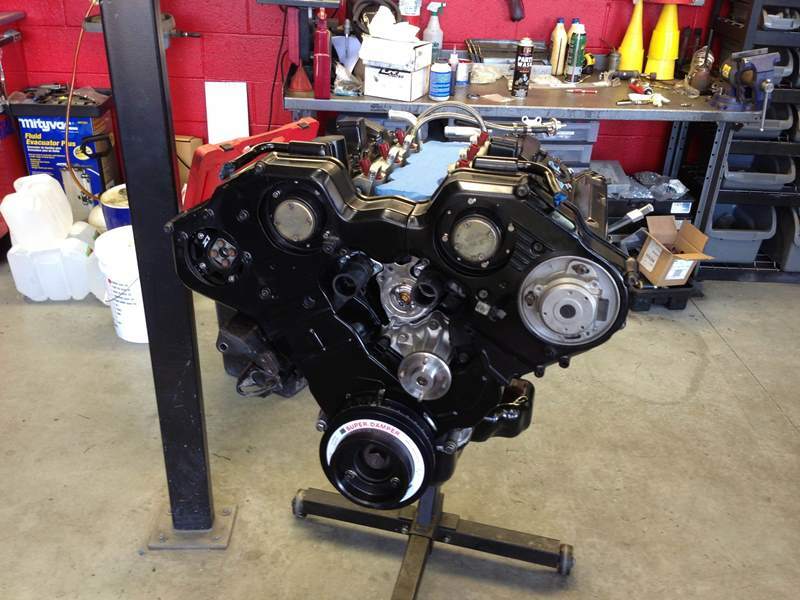 The Z had some sort of “built” short block. It had stock rods and Wiseco pistons. 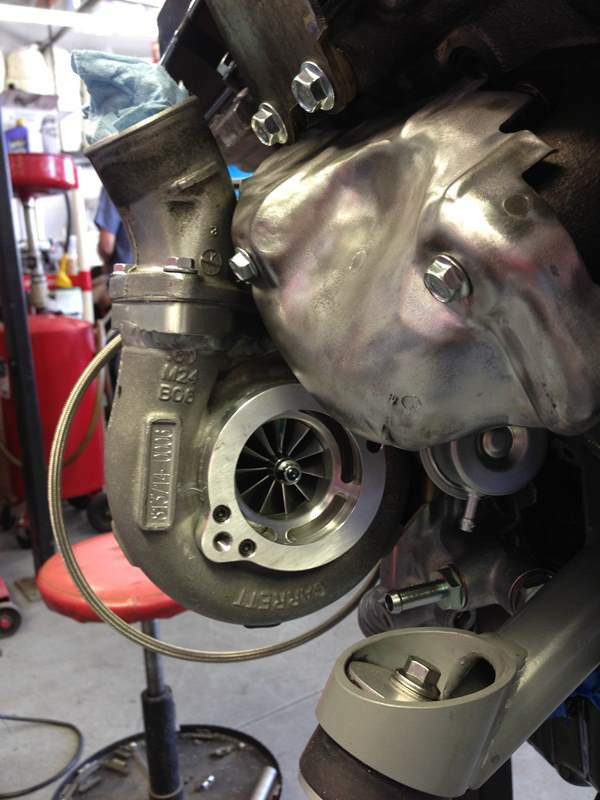 It came equipped with GT2860RS turbos. It had alot of good parts but it had alot of hodge podge as well. 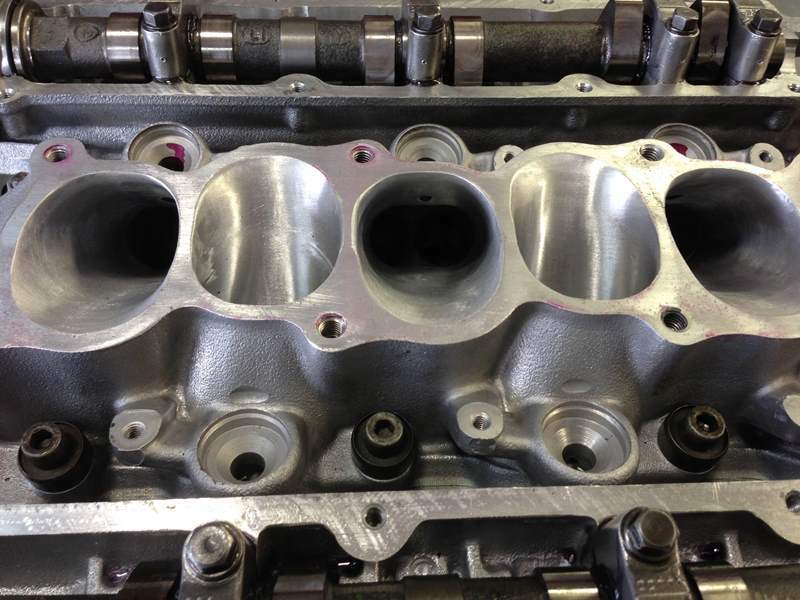 We turned to an IPP Stage 4 Long Block that comes with CP Pistons & Carillo Rods. 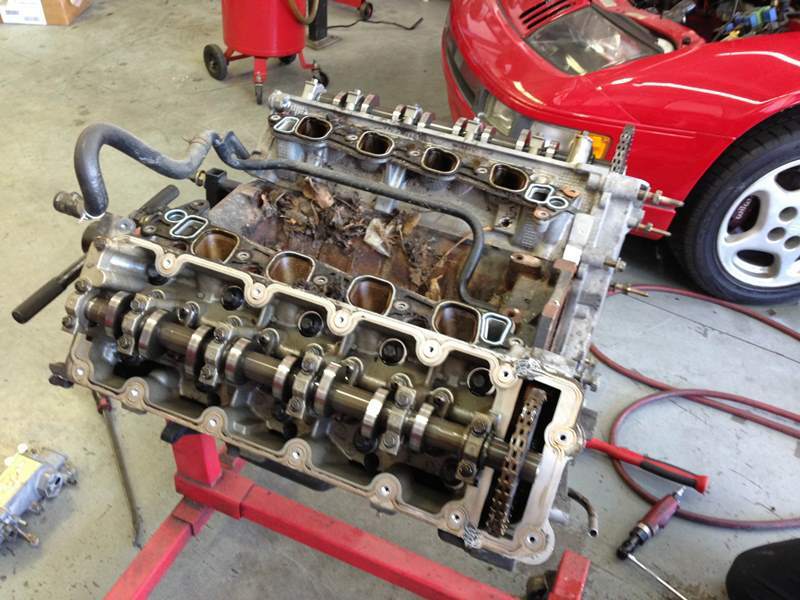 We swapped over the existing JWT 500 cams and HD valve springs. A new set of lifters were also added. Existing 300Degree Rails and Nismo 740s were also swapped over along with adjustable BDE Intake Cam gears, Z1 Exhaust Gears, BDE Low Pro Motor Mounts, and MSP Manifolds. 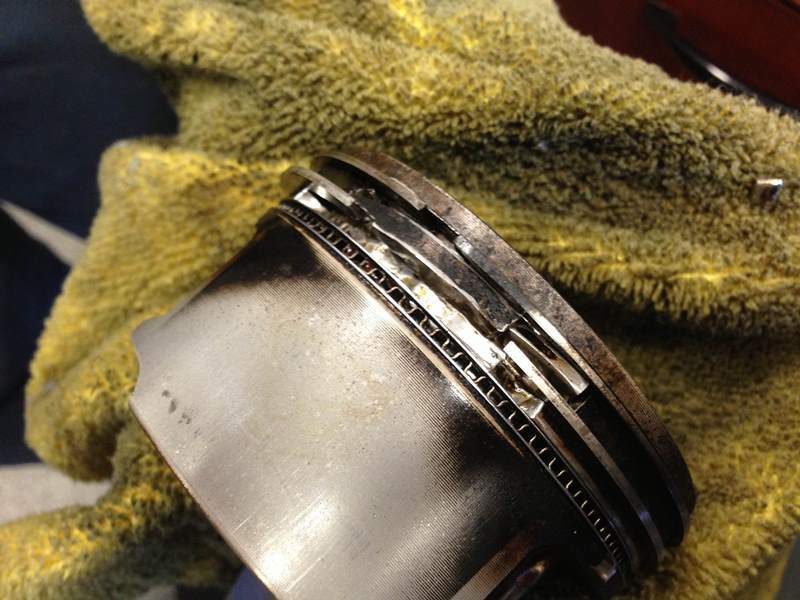 An ATI Race Damper replaces the cheap copy underdrive pulley. 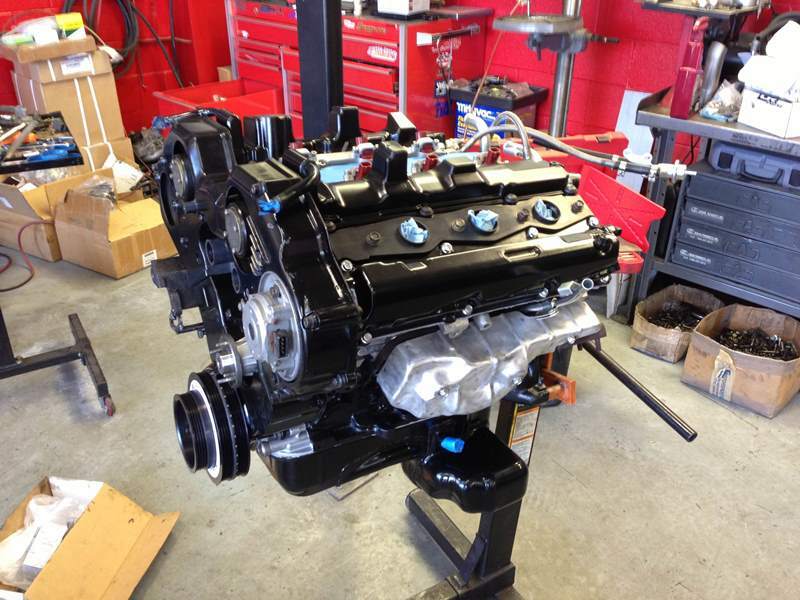 Valve covers were painted black to give it a clean and refreshed look. We fixed several plenum coil bracket bolt holes and one needed to be completley re-welded, drilled, and tapped to save it. We switched over to the JWT GTX63s, note the anti-surge housing. 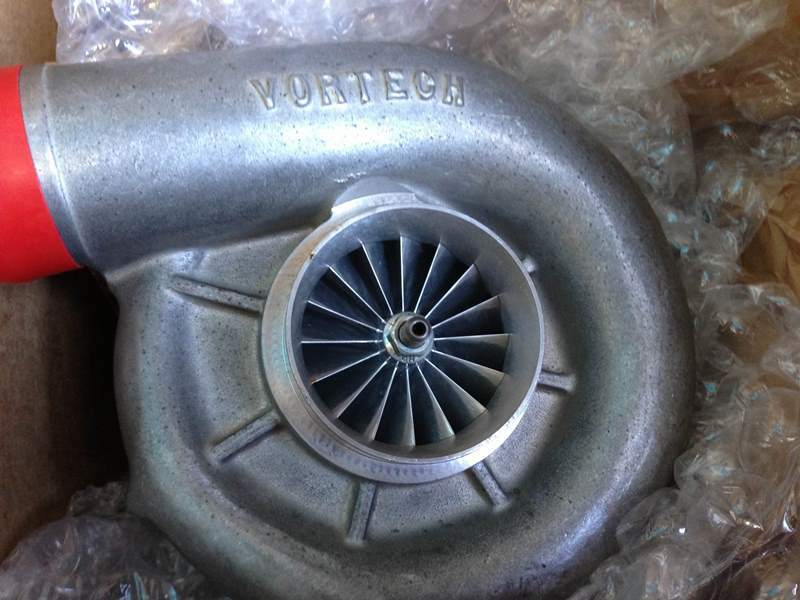 Ash inlet piping that was opened up to match the turbo’s inlet size. Ready to go into its home! 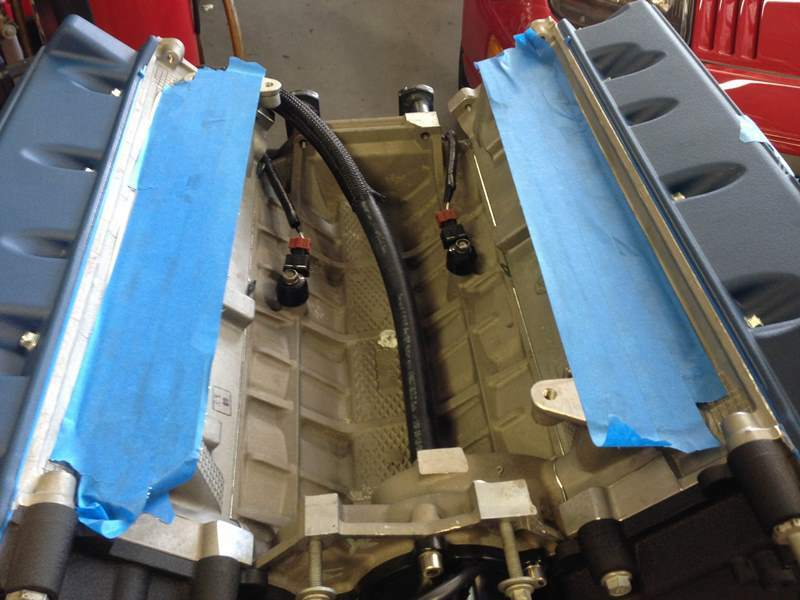 Z1 throttle bodies already installed onto the intake manifold. 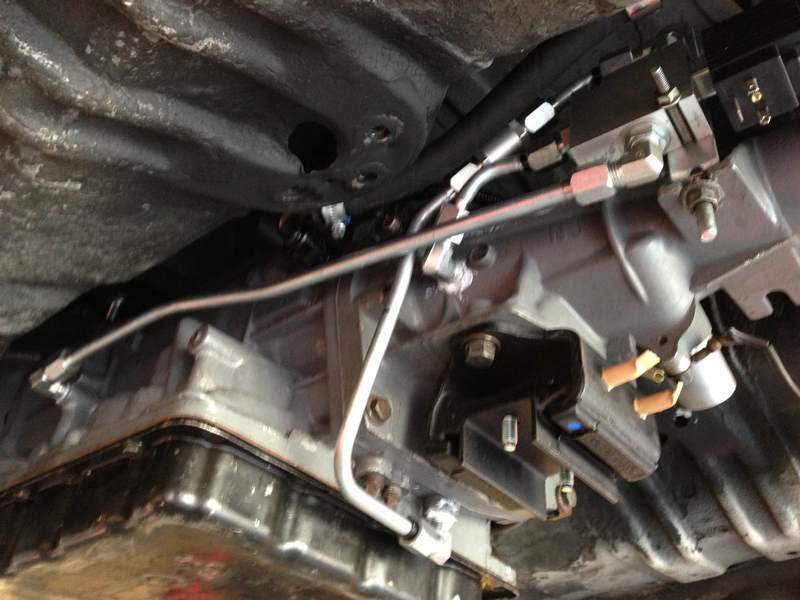 We also used Jesse’s Z to proto-type our trans brake for the Nissan automatic. It also has our racing AT trans package. 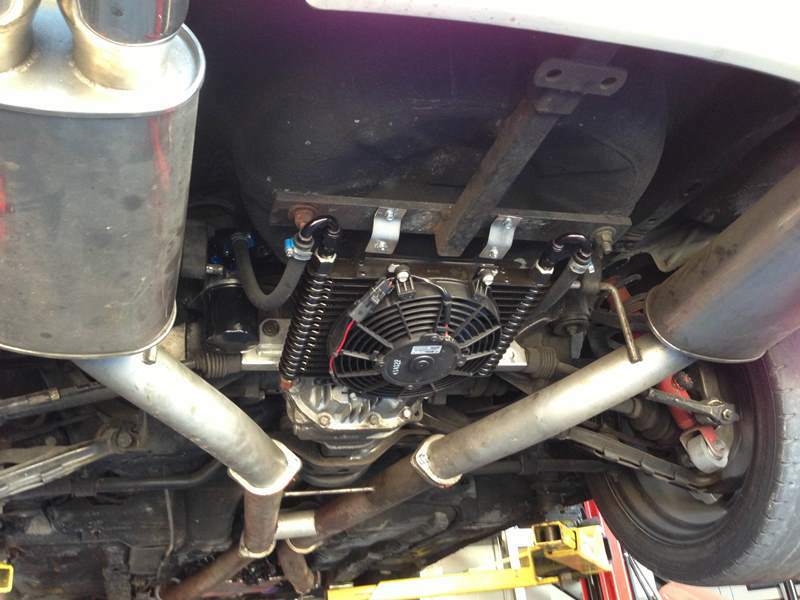 Real estate in the front of the car was non existent so we installed a new trans cooler\fan in the rear of the car along with an external trans filtering system. Cleaned up and on the dyno! 91 Octane Tune, we didn’t have 93 Floridian fuel so we used what we had. Stellar performance out of an automatic Z on pump fuel! 100 octane fuel for 613 whp! 21 psi of boost. 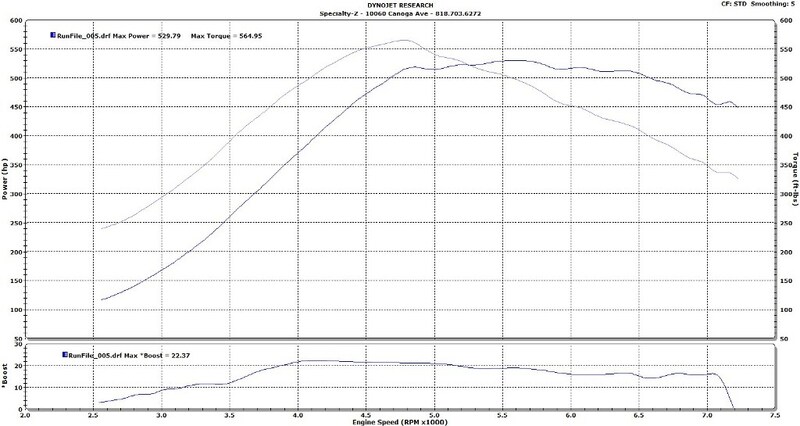 Q16 for just enough to break into 800+ whp! Ready to run 9s at the drag strip and ready for daily driver action. No compromises. With the use of dual fuel pumps we were able to get the 740s to squeeze enough fuel out and keep it safe. Jesse will use our ECU switching device to make use of all his tunes with no fuss. Final dyno tuning run on Q16. You may need to copy\paste the URL to view. Getting picked up to go home to Florida! Thank you again Jesse! Miss Miller made her way in a few weeks ago for some tuning on her sideways Z. We’ve seen this Z go through many phases and this is its best its been under the hood. 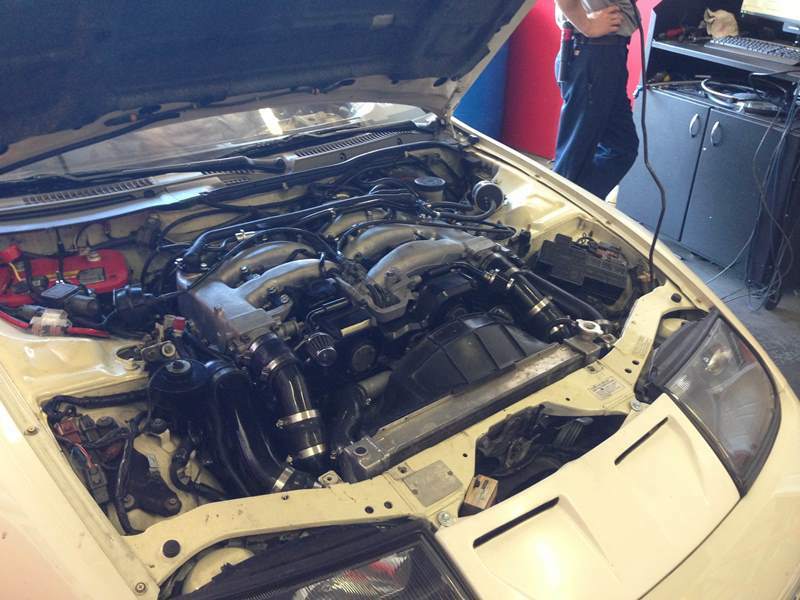 Under the hood are some nice goodies like Z1 600R Turbo Kit, Z1 2.5″ Intercooler Piping and Intercoolers, MSP Exhaust Manifolds and Nismo 740cc Fuel Injectors. We dig the paint\color scheme with its fade in\out colors. The splattered timing covers are a nice touch. 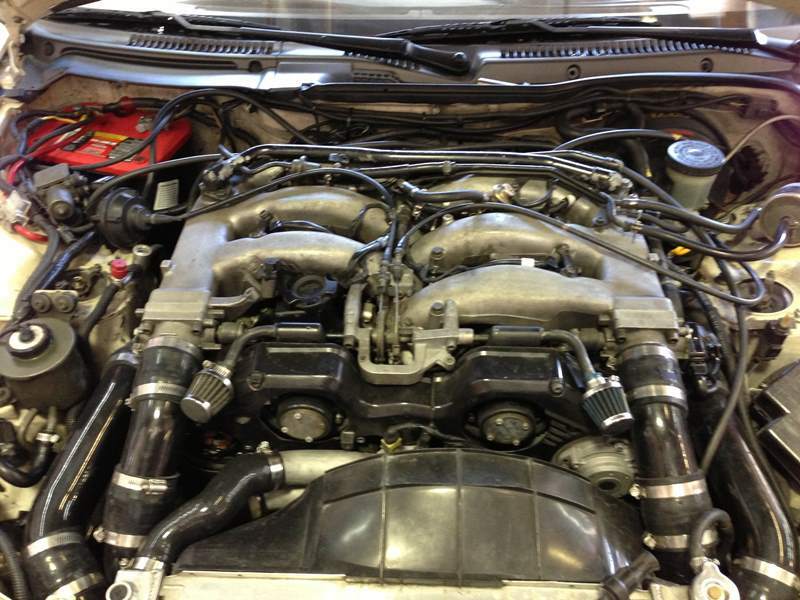 This VG is tuned and controlled by an AEM Series 2 ECU. Mean shot on the dyno roller! 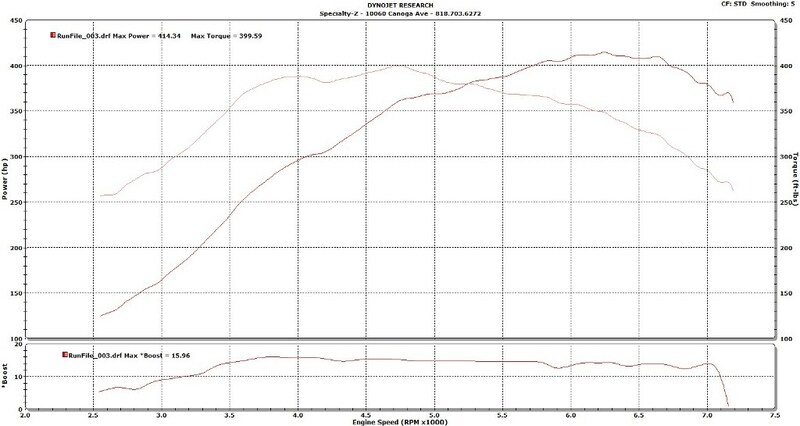 Tuned for 91 octane with an impressive 470 whp on 15 psi. Melissa posing next to Joezie. 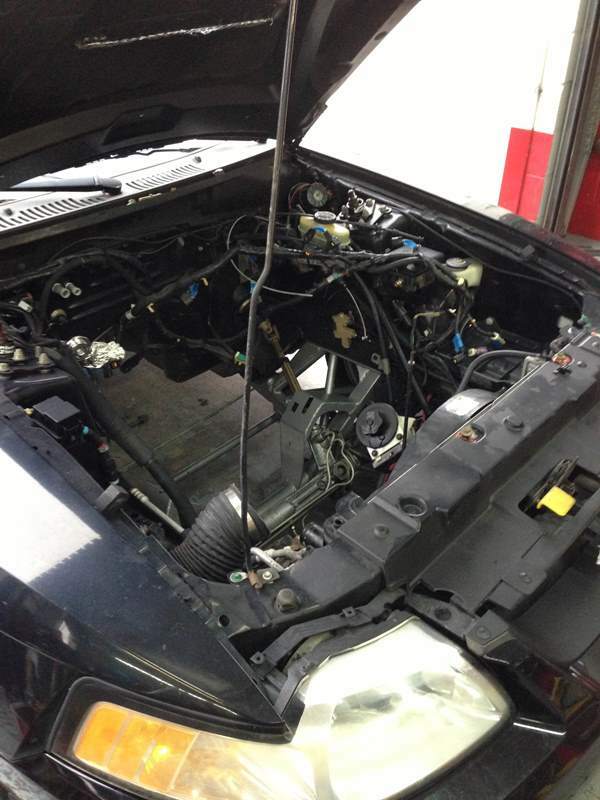 Stock turbo record crushed and then demolished…… again! 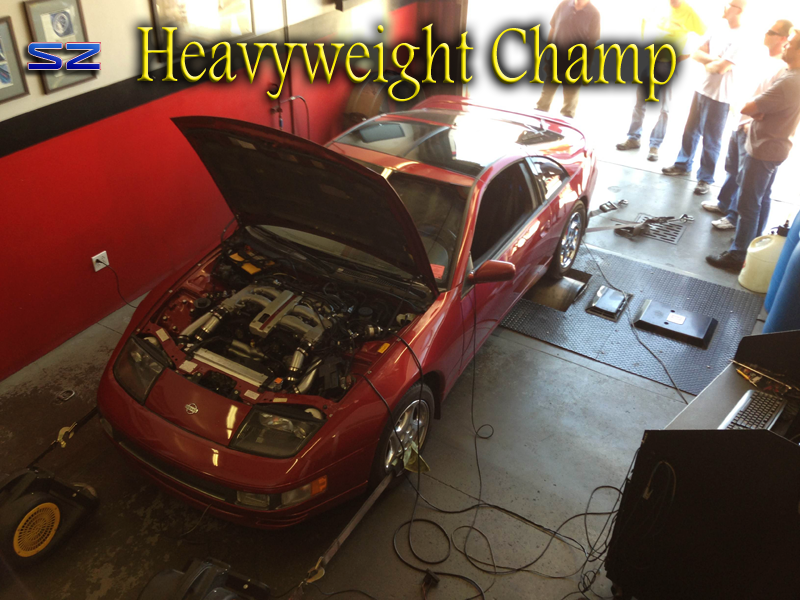 Evan came back for Round 2 to win the heavyweight belt for stock turbo. We mad impressive power but the itch had gotten to Evan. 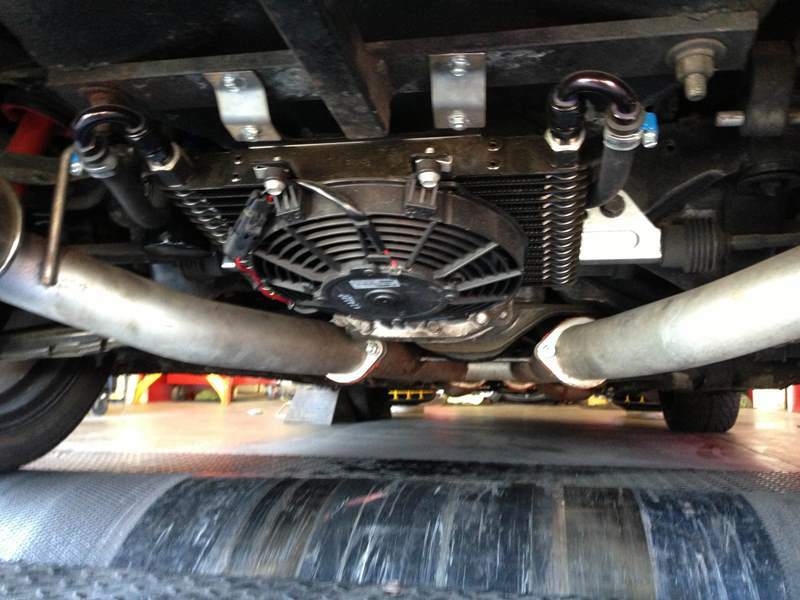 Ash Inlets were added and as a small minor down grade we installed a set of our SZ 3″ to 2.5″ High Flow Cat Pipes. Knowing we wouldn’t be using Q16 to make the needed power, a Walbro 485 (E85) fuel pump was installed to get the needed fuel delivery. Our new 91 tune with the changes in mods. 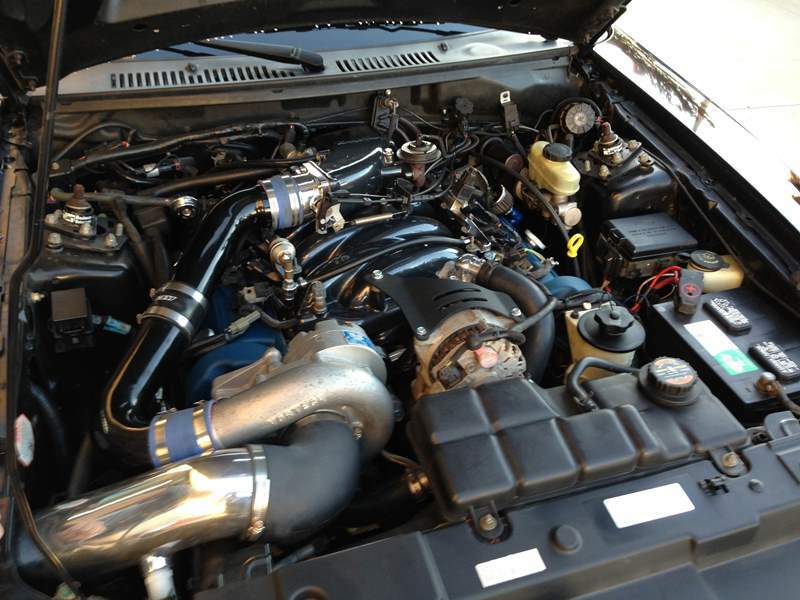 Very impressive for 91 octane and stock turbos. 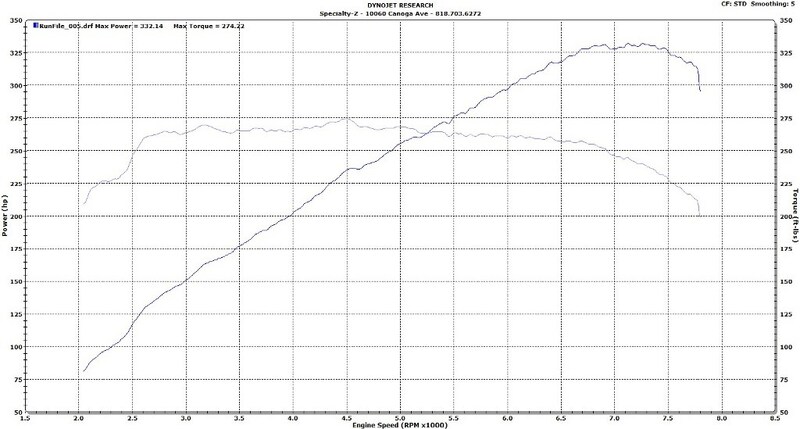 E85 tuned! 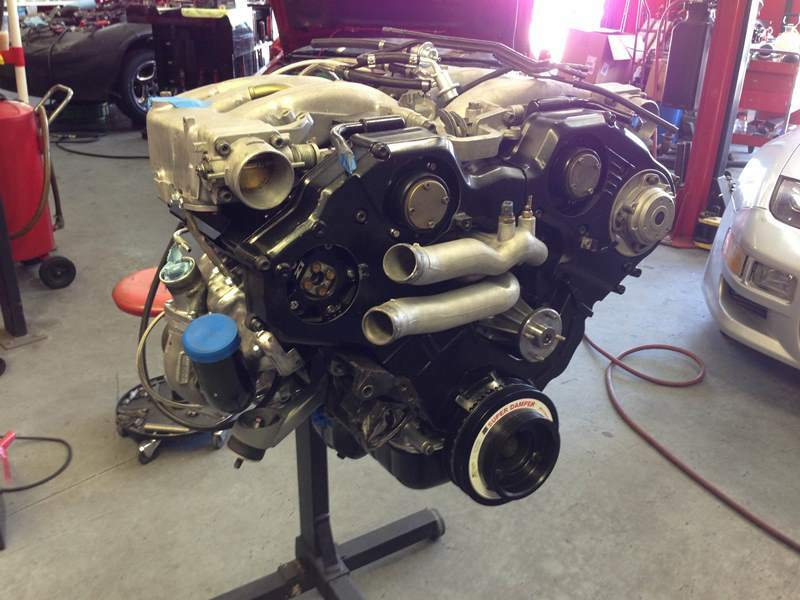 529 whp and 564.95 torque!!!!!! What an amazing gain in power! Insane power while being environmentally green! What a beautiful thing. Thank you Evan and congrats! You may wonder why a Mustang made it’s way into SZ. It was my first performance car I purchased when I got my first job in high school. It’s what got me into cars. I started modifying it in my teenage years and it gave me a very rudimentary introduction to the world of automotive workings. 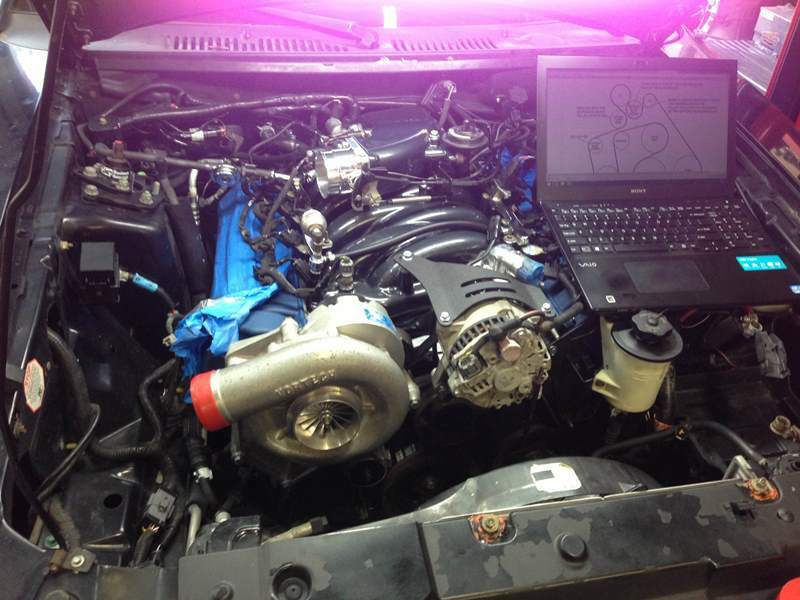 I added a Vortech Supercharger Kit shortly after buying the car. Back then the kits would only supply you with larger injectors and a piggyback Super Chips PCM module. At that time California had 92 octane so it survived for over 20,000 miles. 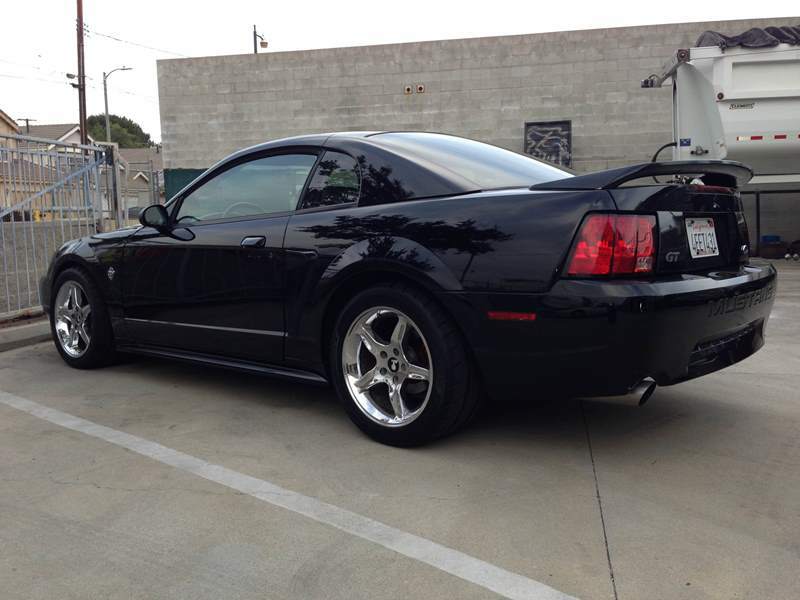 After that California went to 91 octane with MTBE and the 4.6 2V engine in the Mustang lost its engine, add to the fact that its factory fuel pump and piggyback PCM were also recipes for disaster. 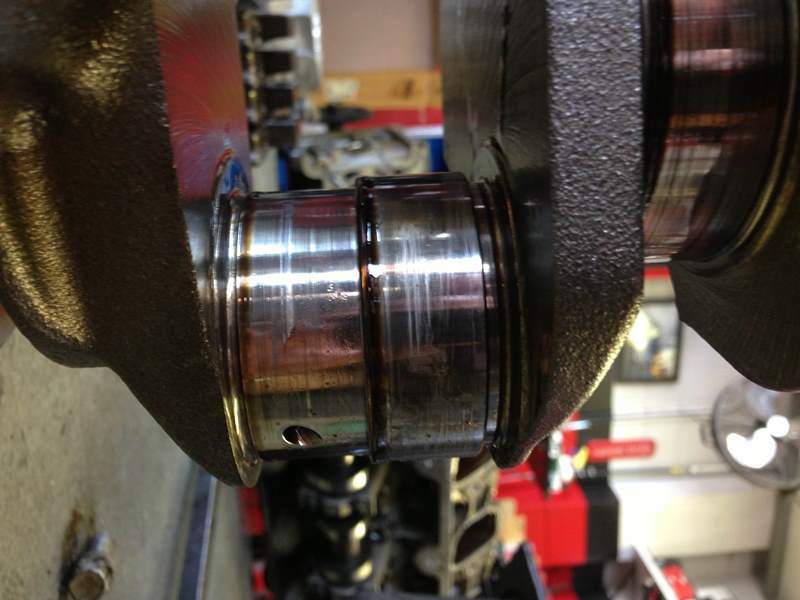 It developed rod knock and low compression in a couple cylinders. 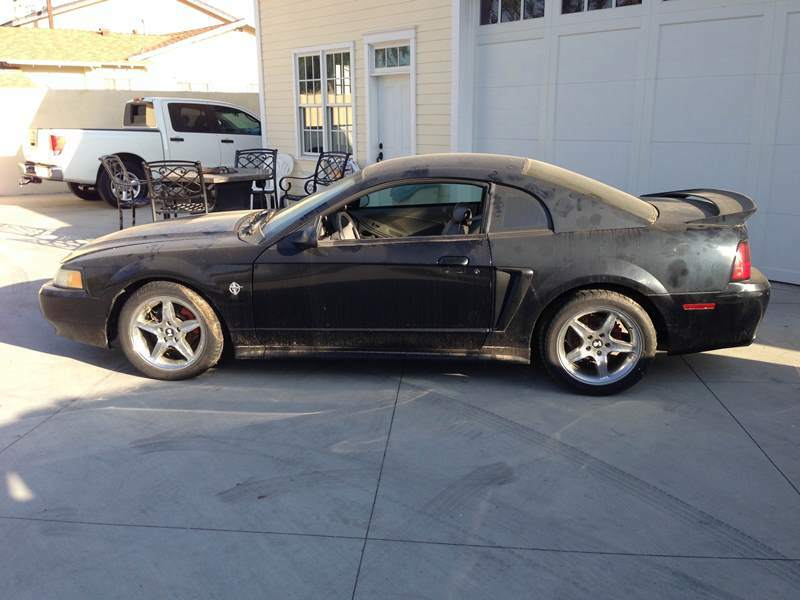 The car sat for over 7 years until this year when we breathed life back into the pony. It sat for so long we had to dig it out of the dirt it was sitting in. Rats and other animals called the engine bay home. The old engine ready to come out. Blower was taken out prior to pulling the engine. In the valley of the engine is where home was for all the critters. Some of the wires on the harness were chewed up thanks to our friends. The old engine was torn down for scrap metal. The main culprit of the low compression. Rings\ring lands destroyed. 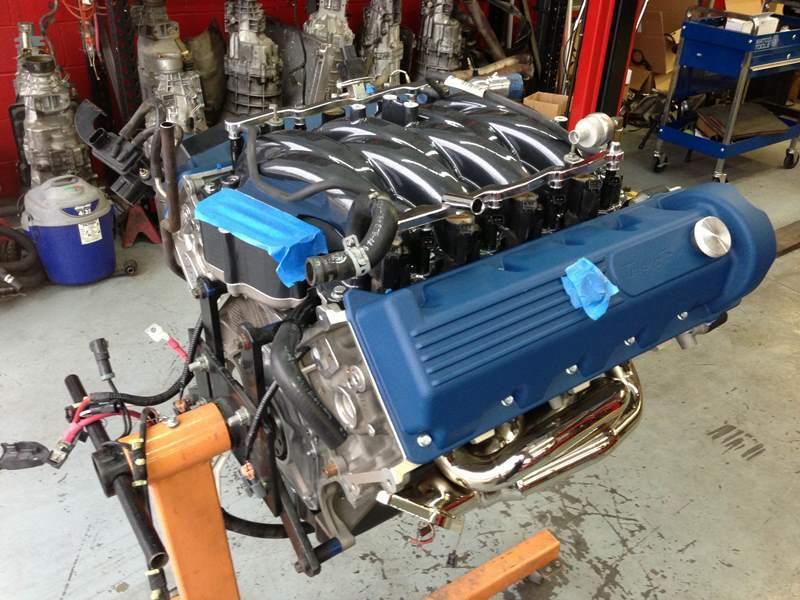 Our engine replacement came in the form of a brand new MMR longblock. The new block is aluminum vs cast iron to save a tremendous amount of weight. Updated PI heads were added along with larger valves and Comp Stage 1 Cams. 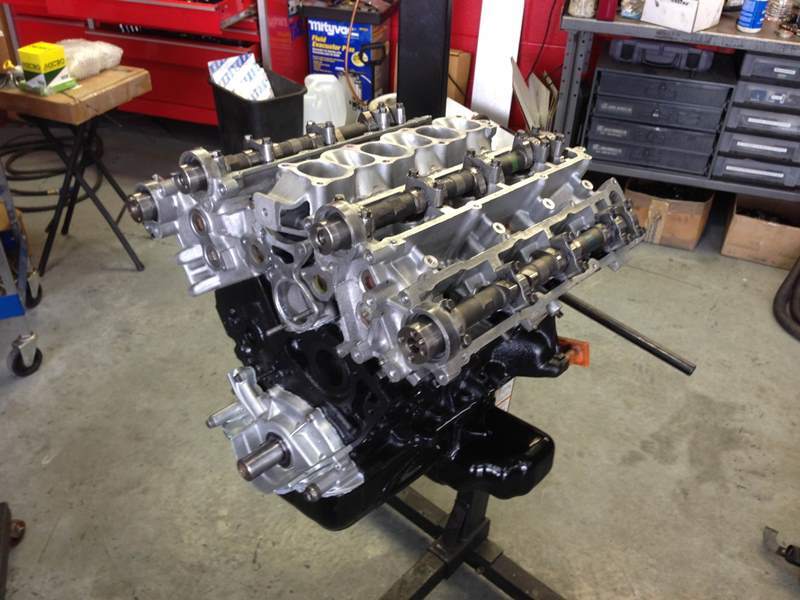 Diamond Pistons and rods, along with a forged Cobra crankshaft were added. 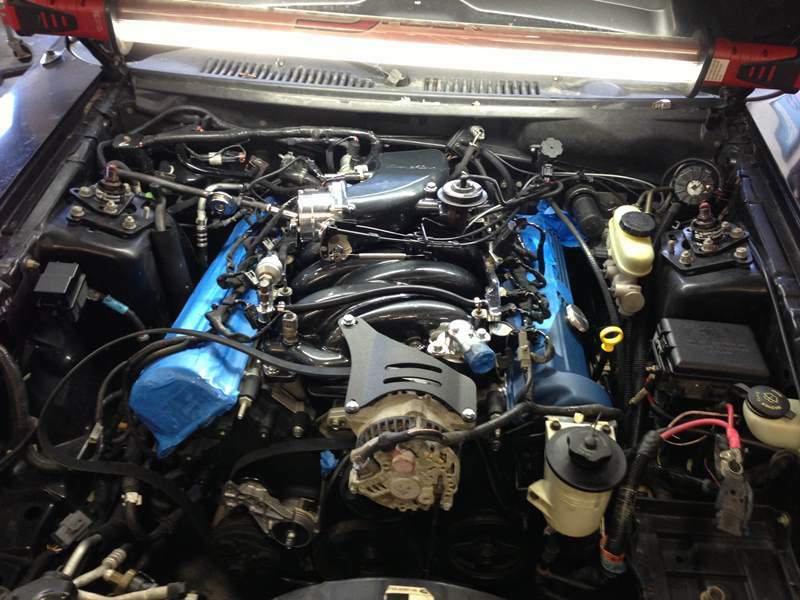 Wrinkle blue powdercoated Trick Flow Valves and Trick Flow Intake Manifold was installed. 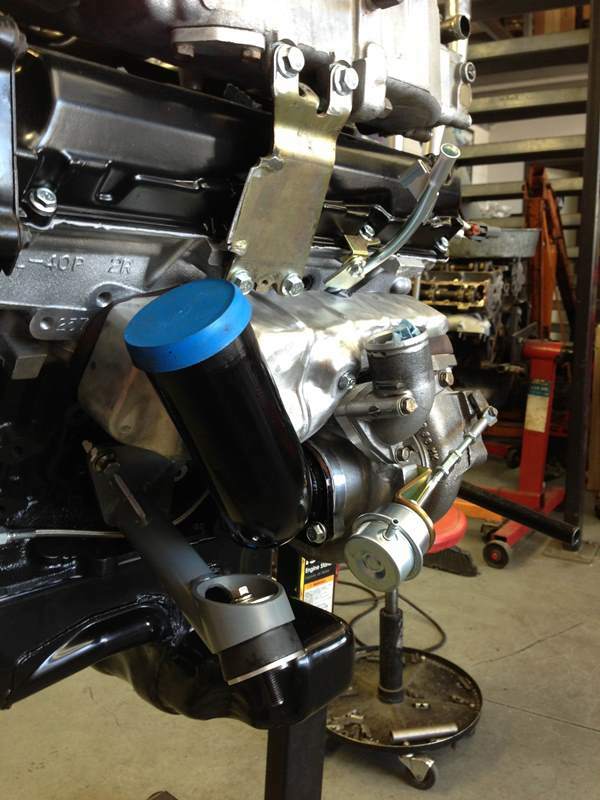 C&L throttle body was added as well. We went with Siemens 60 lb\hr injectors and 90mm Lightning MAF. BBK shorty headers bolted to the heads which then lead to a Bassani X-Pipe with high flow cats and finally to a Bassani catback. We added two Nissan knock sensors to monitor for knock. 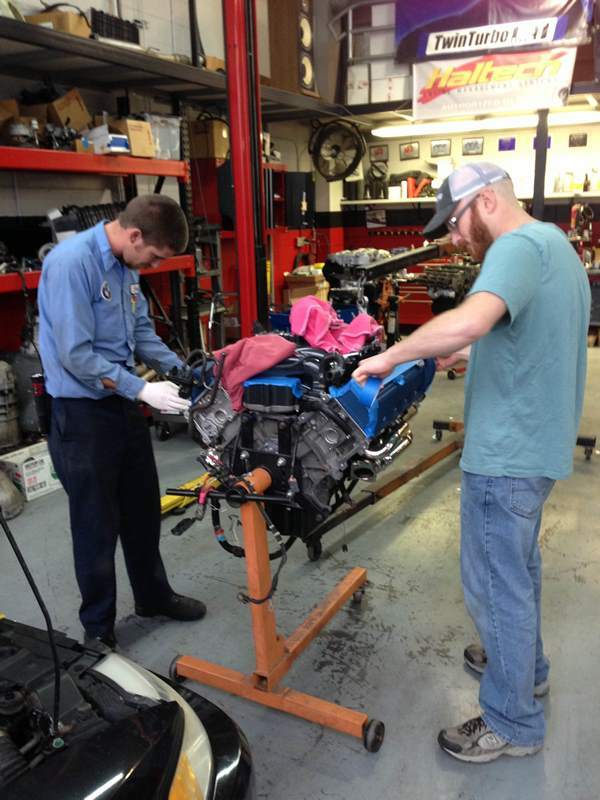 LJ & Jonathan carefully tape up the valve covers prior to dropping the motor. While we had the motor out we upgraded to a tubular K-member and front coilover conversion. This saved us over 80 lbs of weight. The K came with all the parts for the swap and included tubular a-arms. While things were moving along on the engine, we sent the V1 head unit to 928 Motorsports for a rebuild and upgraded to their billet wheel that looks very similar to Garrett’s GTX wheels. We left the base pulley size as we were not planning on running an intercooler. 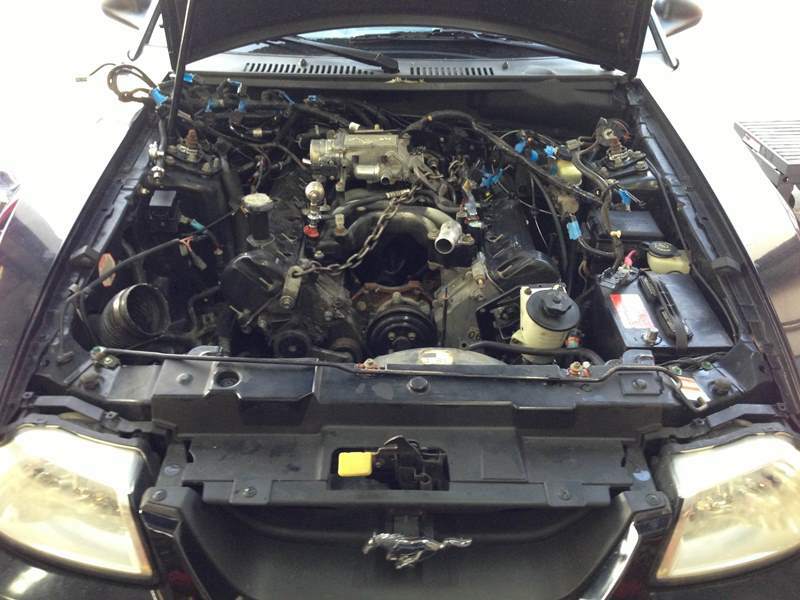 With the new intake manifold we had to move the alternator out and away from the engine. We also wired in our Meizre electric water pump at this stage. We were set back a few days. Turns out that the 1999 timing cover is different than the new engine’s 2000+ timing cover. This forced us to buy a new bracket from Vortech. Finished product. An Anderson Powerpipe replaces the old generic accordion hose for better breathing. We were impressed with the results! It isn’t a Z but it’s still fun to drive. 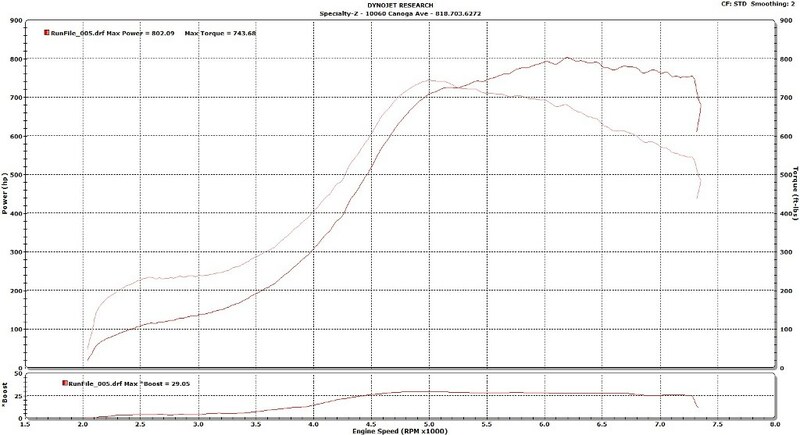 441 whp on 91 octane. For a V8 the torque is lacking but that’s what you get with a centrifugal blower and turbo compression pistons. 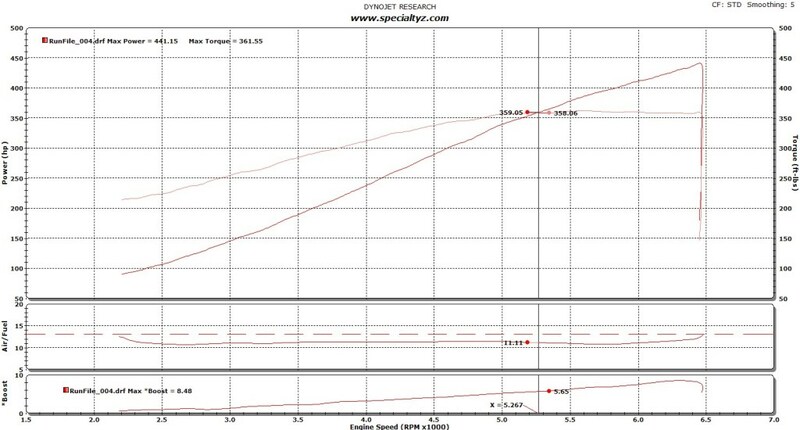 We used the SCT tuning software to tune it. SVT Focus pump and Kenne Bell Boost a Pump send fuel to the Siemens injectors. 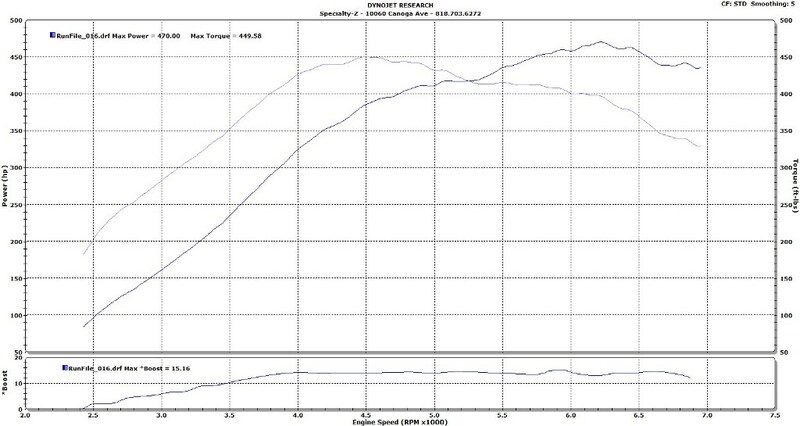 We’ve increased the rev limiter to 7250 so we hope to break into the 460 whp. Not so bad looking after a great detail from Jerry @ MVP. I want to thank Matt @ Performance Evolution, LJ, Jonathan, Rob @ Z Car Garage, Tony @ Fast Intentions, and Jack @ Muscle Motors for the help, parts, and suggestions. Last and not least, my wife Sonia who was pregnant throughout this project and we had it running 2 weeks before our daughter was born.